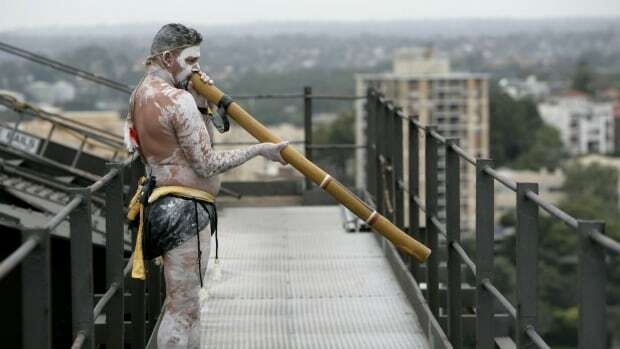 Starting next autumn Port Alberni, B.C., will have a new test sound for its tsunami warning system — a didgeridoo. The sound was chosen by a group of high school students from Alberni District Secondary School as part of a project to try to enhance the community. "I love watching the kids work together and figure things out because it had to be unanimous and every student had to like the sound," said high school teacher Anne Ostwald. "Sitting back and watching them discuss and argue and agree and change things around was a really cool process." The tsunami alarm system is activated when there is a tsunami warning and is tested on the first Wednesday of every month. Ostwald says the class spent about a month listening to different sounds from crying babies, to a beating heart to farm animals. "I honestly thought the duck would be a really cool sound, it's something different," said high school student Freya Knapp. "The class didn't quite agree and we do get ducks in Port Alberni." Once the class narrowed it down to six sounds, the city's portable tsunami system was set up at the school's stadium because the sounds are much different when heard outside. Knapp said city council was very receptive of their proposal, with many of them smiling and laughing as they listened to the didgeridoo. The city is installing a new tsunami warning tower in a couple of months and the new test sound will be introduced at the same time. "It's going to be around for years to come, so it's always going to be something on that first Wednesday of the month that you hear and you're like 'Oh yeah I was part of the creation of that,' which is really cool," said Knapp.